The third of a selection of winter dune shots taken after the ridiculously heavy and record breaking snowfall that struck Ullapool and the Inverpolly reserve closing it completely for three days on a recent course. 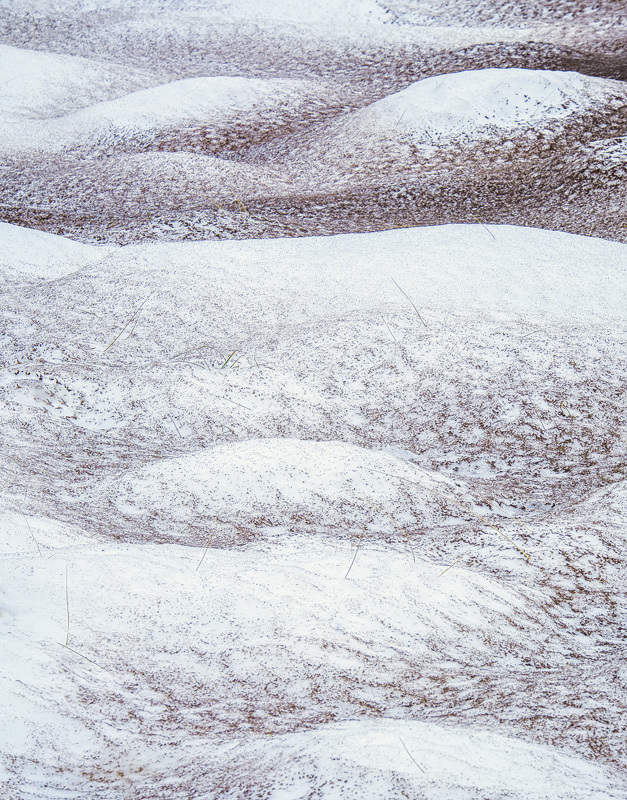 I was completely intrigued by the sand blasted snow laid out in sensuous patterned mounds that were sitting on the beautiful sand dunes looking over Achnahaird Bay. It should be pointed out that this is not snow dusted sand but sand blasted snow some six to seven inches deep.